The holiday season can be rough on jewelers. The long hours spent toiling at the bench trying to fulfill last minute orders can take a toll on the body. To help get through this tough season, it’s important to make time to take care of yourself. One of the easiest ways is with a paraffin wax treatment for your tired, achy hands. Studies have shown that this treatment can help increase blood flow, relax muscles, and reduce stiffness in joints. And you can treat yourself from the comfort of your own home with just a few pieces of equipment. To begin, place 4 pounds of food-grade paraffin wax into either the top of a double boiler or a crockpot on low heat. Once the wax melts, stir in about 1 cup of mineral oil. You can also add a few drops of an essential oil to create a full spa experience. Then use a candy thermometer to monitor the temperature of the wax. To avoid burns, the temperature must be kept under 125°F. (Many spas recommend keeping the temperature between 115°F and 125°F.) 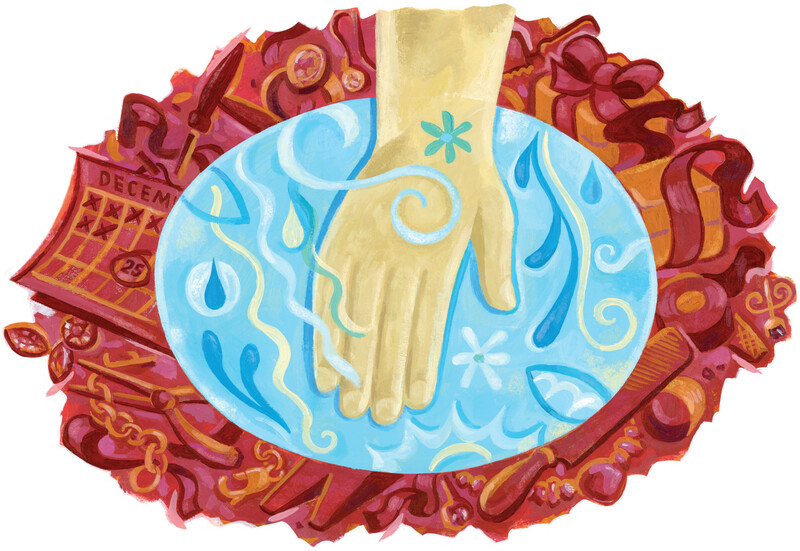 When the wax bath is ready, dip a clean hand into the solution. Remove your hand and let a layer of wax form before dipping it in again. Continue dipping until you accumulate several layers of wax on your hand. Next, wrap your hand first in a plastic bag or plastic wrap followed by a towel or insulated oven mitt to trap in the heat, and then kick back and relax. Allow the wax and heat to do their work for 20 to 30 minutes and then simply peel off the wax. Apply a moisturizing lotion and your rested and rejuvenated hands will be ready for whatever you throw at them next.